Home » Bozeman Montana Real Estate Blog » Featured » What’s It Worth? Determining worth in market-driven, volatile commodities such as real estate is an art form. Short sales, foreclosures, the overall economy, and the desire to get out from under a crushing mortgage, drive prices down. Supply and demand, location and “The Market” heavily weigh the perceived value of a particular property. Sellers want the highest price possible, while buyers want a bargain. One-of-a-kind residencies that defy normal price comparisons are especially challenging. It is only when a property actually closes that a price has been truly set. Up until then, it is all negotiable. As an expert in the luxury, high-end real estate market, I face pricing issues on a daily basis. The old adage is that something is only worth what someone else is willing to pay. What, however, is something worth when no one at a given time is willing to pay? Is it now worthless? Or, what about when someone is willing to pay more than the asking price? Are they fools? There are standard pricing methods, such as the cost approach, in which you add up the land, materials, labor, etc. The problem is, these costs change, gaining or losing significant value due to supply and demand, new technologies, or prevailing tastes. Copper is a good example of a building commodity that undergoes vast price fluctuations, from being expensive to really expensive. Many high-end homes have copper gutters and copper pipes. A savvy buyer understands copper as a material, while a number of buyers assess no value to it. It is the job of a good agent to point out the copper and explain that it does indeed go into the home’s worth as copper is a solid asset, not a subjective, decorative item. A purse serves a function. It is a means of carrying items when you leave your home. It has an inside compartment, a flap, or a way to close it. It may have a number of zipper or smaller compartments within the main bag. It can be constructed of leather, vinyl, cloth, and sized from a small evening clutch to a large tote. You can purchase a leather bag at Macy’s for $75. A similar size and appearing bag will cost approximately $250 at Coach, $600 at Michael Kors, $1,800 at Prada, and $5,000 at Chanel. All the bags function. The pricing and perceived value has to do more with desire. I recently toured the newly-reopened Van Gogh Museum in Amsterdam. This museum should be on everyone’s “Bucket List” as the exhibits are stunning, inspiring and informative. Advanced x-ray equipment now proves that Van Gogh scrapped paintings off a number of canvases and painted over them. Why? Because no one other than his brother would buy his art and he was constantly poor and unable to buy art supplies. In today’s market, Van Goghs auction for tens of millions of dollars. He was ahead of his time, which, from a marketing standpoint is not necessarily a good thing. It is amazing, now, to realize that back in his day, no one valued his art. This past week, a seller of mine received a particularly disappointing appraisal of his property. The potential buyer had ordered the appraisal after seller and buyer, both circumventing their agents and speaking directly to each other, had agreed upon a price but had yet to sign a buy-sell contract. When informed, I cautioned my seller about switching the process. First you have a signed buy-sell contract, then you get an appraisal through a third party—not the buyer ordering the appraisal. Appraisers consider buy-sells as solid verification of current market pricing in that both parties agree to a transaction at a specified price. The appraiser may disagree with the price, but it is a solid figure in the equation. Appraisers have defined, regulated and prescribed methods of assessing property value. They begin by gathering the sales data for all similar properties that have closed within the year and within a small radius of the home in question (these are called comps). Unfortunately, we are still digging out from foreclosures, short sales, and seller capitulation. If distressed properties are the only closed transactions within a property’s radius, the appraiser is going to discount the property’s value accordingly. The appraiser then goes through a checklist against the comps. This includes square footage, garage space, number of bathrooms, type of heating and roof, etc. Appraisals can vary significantly as there are items open to interpretation or opinions that affect the bottom-line. For instance, last year, during a transaction, the appraiser checked a box stating the neighborhood was a “declining” neighborhood. This would require the buyer to put an additional 20% down for their loan. Suffice it to say, they went to another bank, had a different appraiser, and the second appraiser did not checked that box as he did not feel the neighborhood was declining. As a side note, he was correct. Prices in this neighborhood have risen. However, one wonders if the first appraiser had prevailed, would that have effected prices and caused them to decline. Homeowners and banks are not supposed to legally be able to effect the appraisal. New regulations, such as the Dodd-Frank Bill limits banks from choosing a specific appraiser for a property. Generally, an appraiser never speaks to the homeowner, but will ask the listing agent to send them any and all information that will aid in arriving at a valuation. In this entire process, though, the key is the local neighborhood market. Appraisals are driven by actual recent sales, not what is currently listed, or sales in the past. A property that appraised 8 years ago for $3 million dollars may only appraise for $2 million in today’s market place. Or, if it is in “hot markets” like San Francisco, New York, London, and Hong Kong, it may appraise for $4 to $5 million and upward. My seller’s property came in with an appraisal 35% below what the buyer and seller had verbally agreed upon prior to the appraisal. Suffice it to say, the deal has fallen apart. The buyer stated it would be “economic suicide” to purchase a home so above the appraisal, even though he would have paid cash and not required an appraisal for a loan. 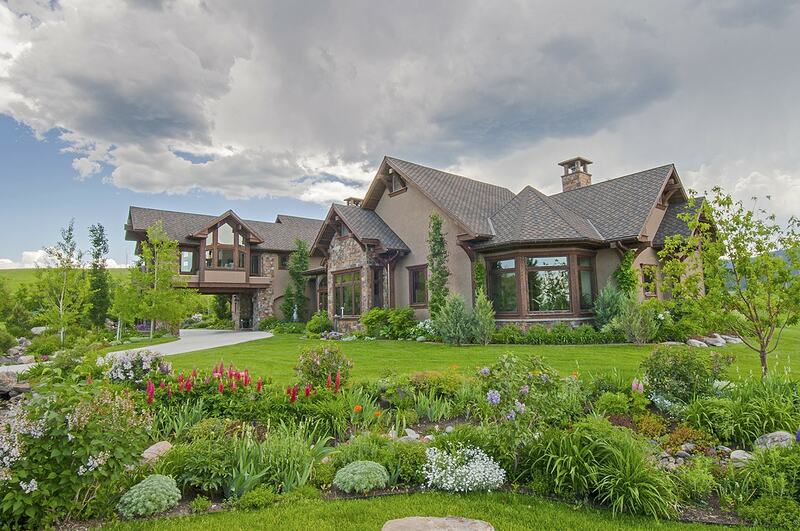 The seller rightfully loves his home, which he personally built, and is a true one-of-a-kind. He considers the appraiser to be an idiot or worse. Here is a clear example of varying opinions on what is it worthy paying to own this home. If a few homes in his area close at “normal” prices, rather than foreclosures, a future appraisal will be for a higher amount. Same house. Different times. Changing market data. During this same time frame, I approached a home owner to see if they would entertain selling their home to a potential buyer. The home, not currently on the market, had been on and off the market for close to 5 years, with the price dropping with each re-listing. The buyer was willing to pay the full asking price from 5 months ago, when the home was last listed. The home owner, initially happy to have an offer, quickly switched to lamenting over what they had invested in the property and feeling the price should be significantly higher—close to their original asking price 5 years before– even though the present market does not support that pricing. Their idea of the market value became tied into their costs associated with the home, even though many of their more expensive costs were finishes that did not interest the buyer. Everyone wants a return on investment. We all hope our time, expertise, and money will yield a positive outcome. Today’s luxury market is volatile and dependent to a great deal on the property’s location. You read about prices going up in key markets, and new home sales rising or declining. However, you can not use the global or national market to determine values for properties. And, even more vital for homeowner’s to fully understand is that potential buyers may not value choices you made that cost you a good deal of money. The hand-woven, all wool carpet or custom drapes may actually be on the potential buyer’s list of what to immediately rip out of the home. A buyer is going to view a number of properties and come up with their own comparison shopping, weighing all the varying amenities and features that go into creating worth from their perspective. It is hard to not be emotional about a real estate transaction, however, in any given location, there are a number of ways of determining both the tangible and intangibles that provide the basis for price and worth. And, it helps to have a knowledgeable Realtor who can point out things you may miss. What something is worth is directly tied to perceived value, market trends, desirability, supply and demand, and, what the buyer is willing to pay and the seller willing to accept. A Realtor serves an important role in property transactions, helping both sides come to terms. Comments Off on What’s It Worth?